Click on image for better, larger view. Really nice beauty here. 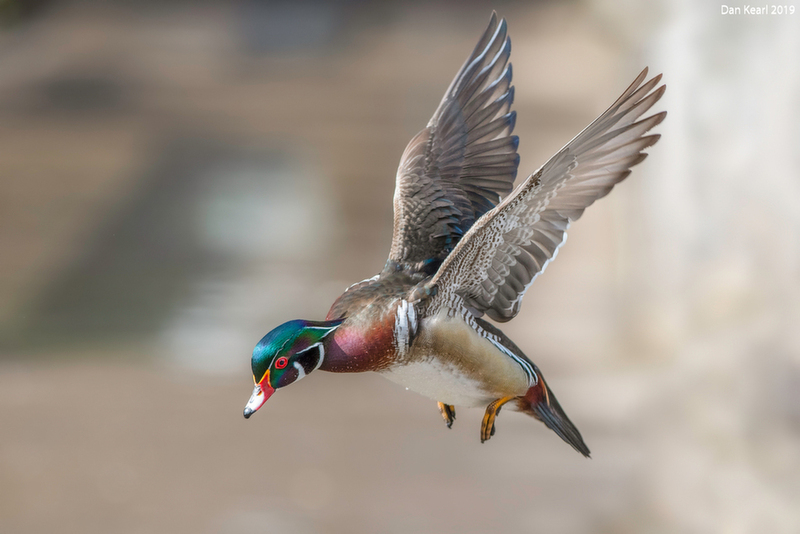 I wish I could get close enough shooting with 300mm with Wood Ducks. Great series, Dan. This one is my favorite so far. Keep them coming. Excellent! What a lovely close view! Spectacular flight shot! Love that pose. I have the best pond in the country for Wood ducks I would think. Extraordinary flight shot which really needs to be viewed large to appreciate the fine detail. Great image, Dan. a perfect in the air shot and all the details as-well, the crop is a little to tight on this image, if you have more room. I agree with this. Otherwise this is a massive hit.